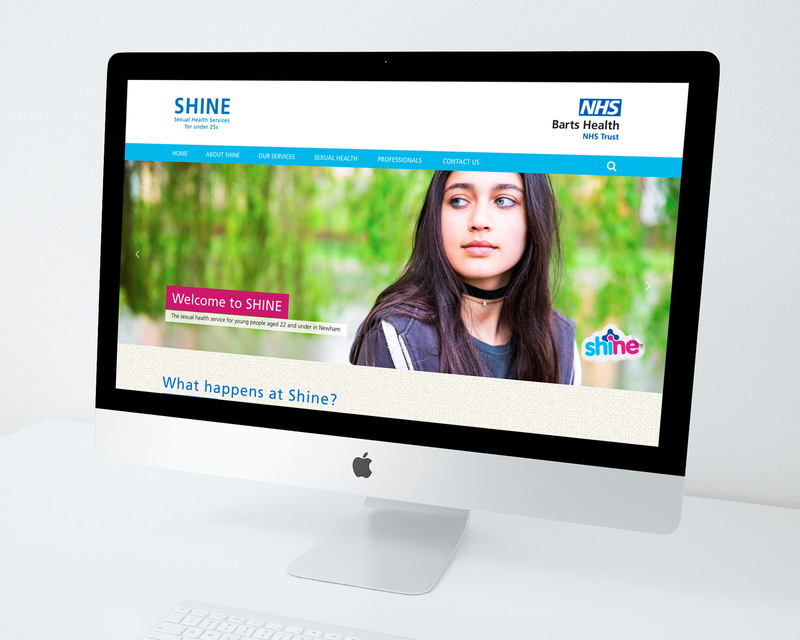 SHINE is the Sexual Health Services for young people under 21, within the Barts Health NHS Trust. 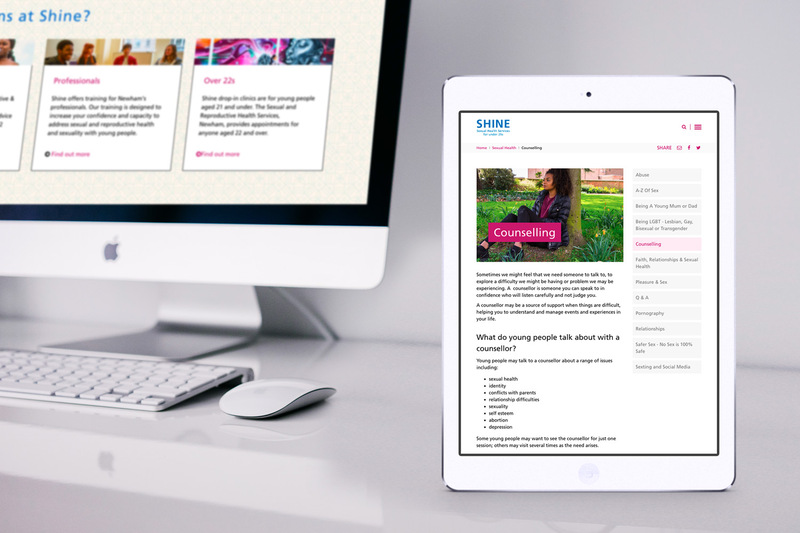 SHINE is one of many health-related services using the microsites platform created for the Trust by Winona. 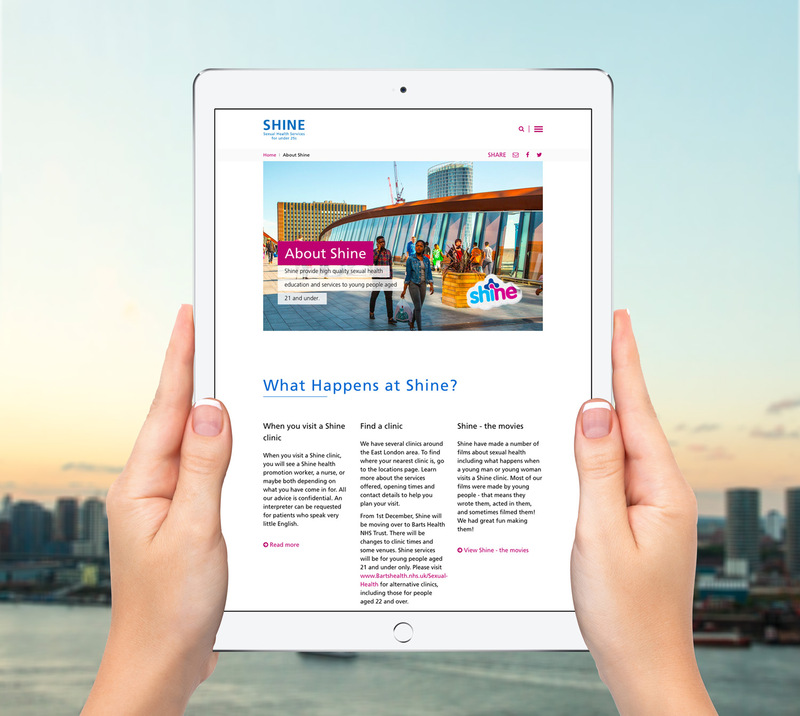 SHINE has its own URL, visual identity and narrative style but shares the same hosting as the other microsites and is managed day to day by the Trust Communications team using the same easy to use CMS. 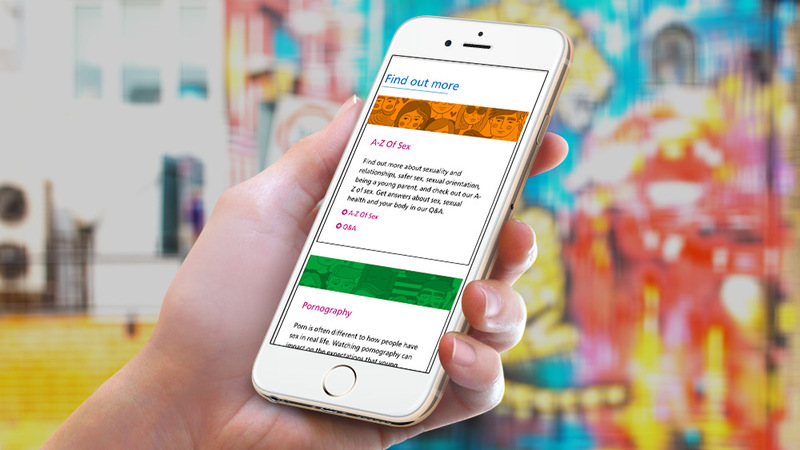 We have launched 10 other microsites using the platform. 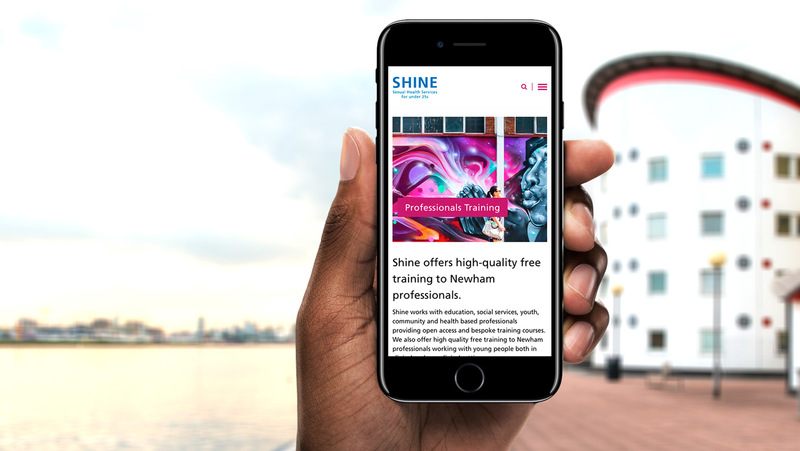 In 2017 SHINE underwent a major update with a complete redesign and new sections promoting each branch of the service and landing pages for each of the services SHINE provides to young people living in Newham.